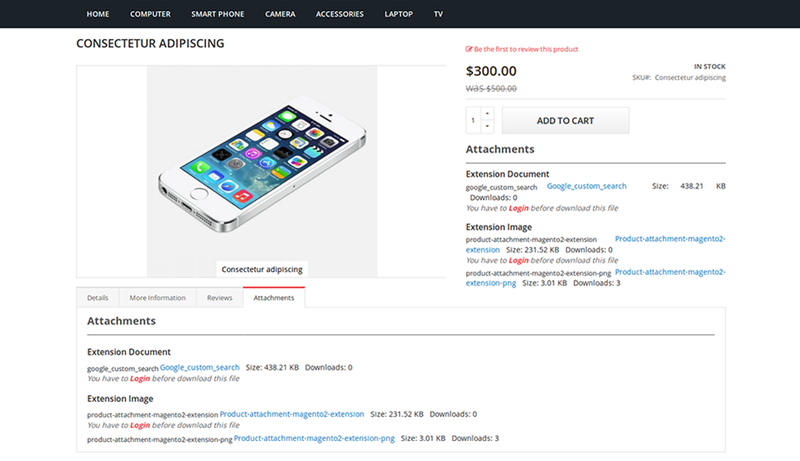 Product Attachments Magento 2 extension makes product files available for download on product detail page. It allows the store owner to upload multiple file types such as pdf, docx, jpg, jpeg, png, ppt, docs, images, etc. 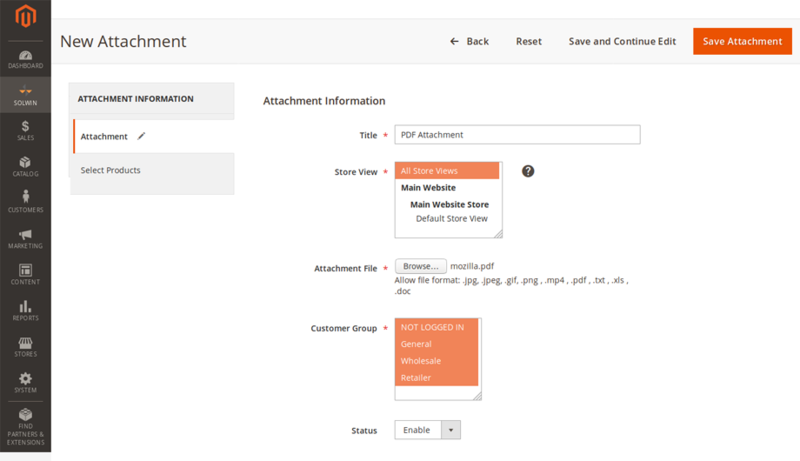 The store owner can upload a particular file from add product page under the attachments tab from the admin side. It provides maximum upload file option from the configuration panel. You can show attached files on product detail page in attachments tab or inside product info block. Store owner can upload any number of files and also set restrictions for particular file upload. 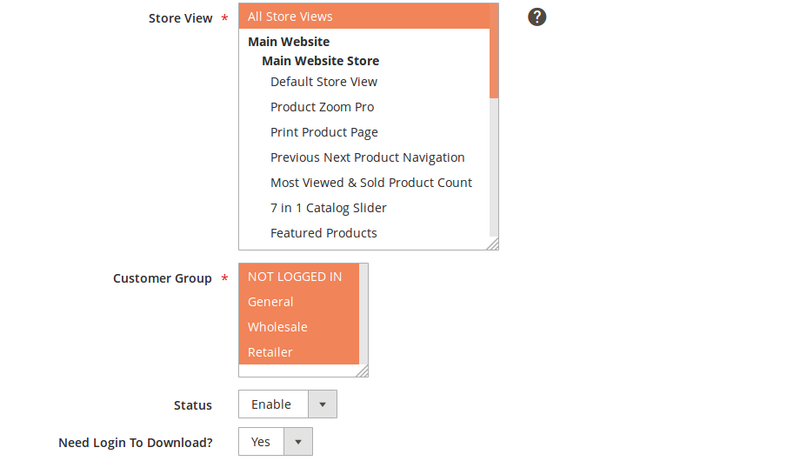 For each product store owner can upload as many attached files as it is required. This extension has no limits amount of attached files to product. 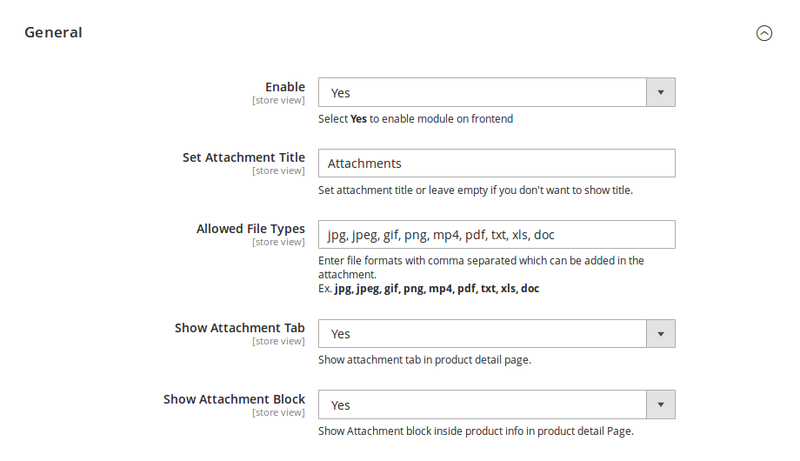 Set product attachments settings store wise from admin. 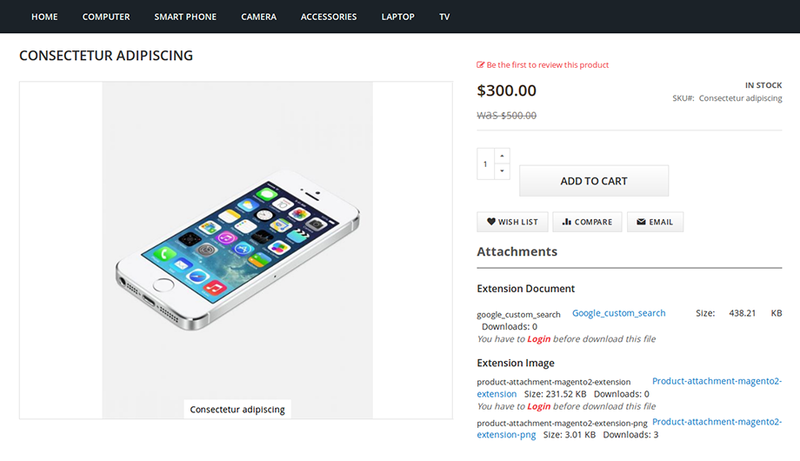 Shows attached files on product details page under product info block. On product detail page, shows attached files under Attachment tab. Upload several file types such as docs, PDF, excel sheets, images and many other types. Extension has no limits amount of attached files to product. Store owner can set access to customer roles to download/view attachments. This is a great extension that allows us to add instructions and manuals to more technical products which helps to convert visitors into customers. Support with installation has been great. Thanks to Team. Great extension. Works perfect for my application. Cheers to the developers of the plugin. It actually gets updated regularly (there were some breaking changes from Magento 2.0 to 2.1 in the admin backend which required extension authors to update) and just does what it says. Top value to price ratio! 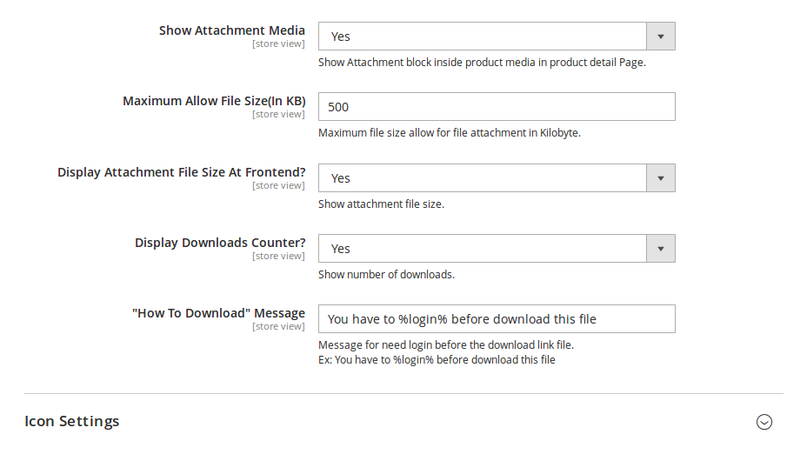 Download the Product Attachments extension .ZIP file from solwininfotech.com using your Solwin Infotech website account. If you are using Magento 2.0.x then you need to extract solwin-productattachment-m2-2.0.x.zip file. If you are using Magento 2.1.x then you need to extract solwin-productattachment-m2-2.1.x.zip file. If you are using Magento 2.2.x then you need to extract solwin-productattachment-m2-2.2.x.zip file. If you are using Magento 2.3.x then you need to extract solwin-productattachment-m2-2.3.x.zip file. 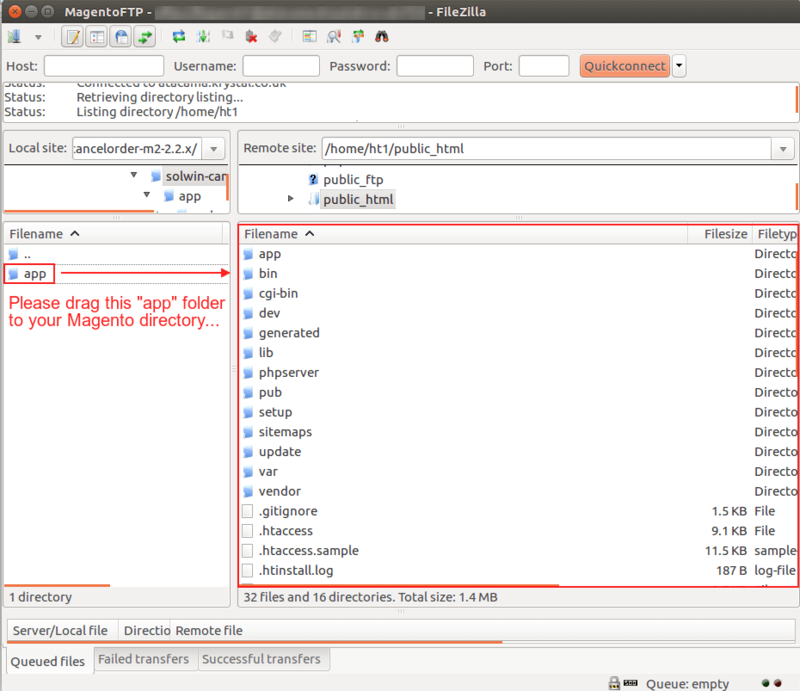 If you are using Magento 2.1.x then you need to extract solwin-productattachment-m2-EE-2.1.x.zip file. If you are using Magento 2.2.x then you need to extract solwin-productattachment-m2-EE-2.2.x.zip file. Now, you can see the Solwin menu in admin panel. Please go to Solwin -> Product Attachments -> Configuration and select Enable to Yes. UpdatedThe store owner can add the file format which he/she want to attach.